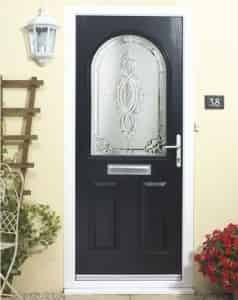 Our most popular front door option, UPVC doors in Cardiff homes will look superb. An excellent choice for both modern homes and traditional properties, they can be designed in a range of colours and finishes to suit your existing property. With something for everyone the decision is yours. 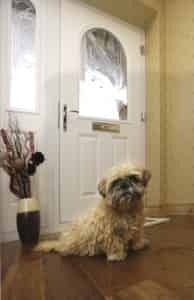 From single glazed units to a more bespoke finish, you can make your new UPVC doors in Cardiff a real focal point that all your neighbours will be envious of. With Rehau’s advanced technology you can be rest assured a UPVC door from Inspire will stand the test of time, never rotting, warping or discolouring for complete satisfaction many years after installation. With improved design and enhanced security you won’t be disappointed. There are a plethora of style choices, colour options and add-ons you can pick from to make UPVC doors in Cardiff unique and personal to your home. Gone are the days of believing white was the only colour for a UPVC door. Nowadays you can choose from Mahogany, Golden Oak or Rosewood as standard, as well as the traditional White if you prefer to keep things simple. Find the look to make your UPVC door the most attractive on the street! Additional options include a low threshold for ease of access for wheelchairs or buggies. Each low threshold is fully compliant with the requirements of the Part M Building Regulations for disabled access, so you don’t have to worry. Another decision for your UPVC doors in Cardiff is inward or outward opening. If you’re tight for space then an outward opening is an excellent choice for keeping your valuable space free. If you require more light we can also offer side light combinations to match your new UPVC doors. There are a number of glazing choices as well, including mid-rail and glass or panel options. You can also have glazed in panels or complete glass to give your door an individual style, however you wish. A Rehau UPVC door is built to last, thanks to its sturdy structure each UPVC door is robust and weather proof. Safety is also of utmost importance with our UPVC doors in Cardiff containing premium locking system as standard. A Rehau UPVC door can be designed to match your existing Rehau UPVC windows, ensuring consistency is carried throughout your home. Also highly energy efficient our UPVC doors are designed using a triple chambered profile that offers excellent thermal insulation. Heat loss through the door is reduced thanks to the installation of energy efficient UPVC – keeping your home warmer throughout the year.